One of the greatest benefits of living in the Valley is the warm weather, which allows us to grow a wide assortment of plants. If you want to try your green thumb at a few tropical varieties of fruiting plants, look no further. I have some wonderful tips! Avocado trees can be purchased from nurseries all over town. Certain species do better than others, so purchase the plant from a reputable nursery like Mango Tropica on Apache Trail (Main st) in the east valley. 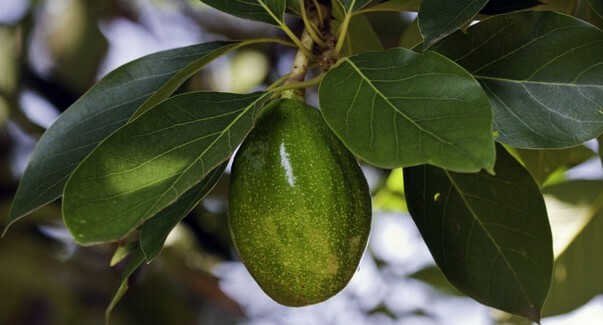 Note: Avocado plants need afternoon shade and deep, rich soil with a lot of soil amendments like volcanite, rock phosphate and Texas greensand. Always finish off your amendment mixture with a good dose of compost on top of the soil. When it comes to a tropical look in areas such as entryways that will protect the plant from wind, nothing beats a banana tree. The Cavendish is one of the easiest banana trees to grow and will spread through mats or pups every six months, allowing you to share your banana tree with friends and family. Hint: When temperatures are below 50 degrees, hold off on watering. Mangos are another hardy favorite. The type most often grown is called Tommy Atkins. To propagate, dust the seeds in compost, then place them flat in a bucket of compost. They will take 10 to 30 days to germinate, then you can transplant them into a larger pot or even a protected space in your existing garden. If you want a tropical plant that’s really easy to grow, try papayas. Hawaiian Sunset is a superb variety that has a delicious, golden-yellow fruit. Like the mango plant, just put the seeds in compost and away you go. In nine months, the plant will start producing fruit. Another easy-to-grow plant found in my garden is pineapple. Instead of throwing the top of your pineapple away, plant it in well-drained potting soil and place it where it will receive afternoon shade. Growing the tree could take up to two years, but along with the beauty it adds as a potted plant, it will eventually produce fruit. To stimulate fruit production I recommend covering the plant with a plastic bag with an apple in it. This puts off a gas, which in turn stimulates fruit production. In most cases, tropical plants should stay a little on the damp side and will benefit from regular applications of Extreme Juice. Posted on May 15, 2013 by The Garden Guy.